Can’t have oats? No problem! 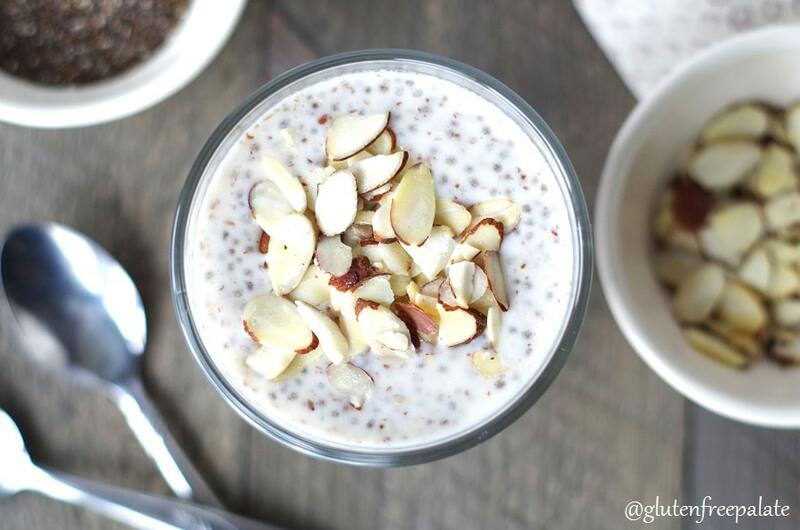 Overnight Paleo Porridge is just as easy to make, and just as tasty. You will be amazed at how easy and filling it is. Get it ready the night before and enjoy a quick and healthy breakfast the next morning. Have you heard of overnight oats? Well its basically oats, some liquid (usually milk), chia seeds, and fixings – at least that’s what the majority of the recipes call for. You mix it all together and leave it in the refrigerator overnight. It’s Genius! and such an easy way to make a healthy gluten free breakfast you can grab on-the-go. So many people can’t tolerate oats, or have removed them from their diet but still need quick breakfast options. I like to make breakfast the night before, and have it ready to either eat or grab-and-g0 with. 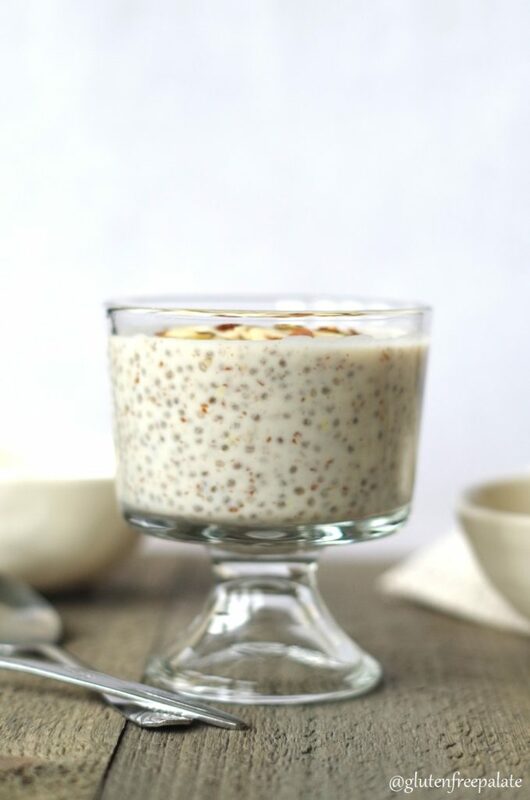 This Overnight Paleo Porridge is one of my go-to breakfasts, or after workout snacks. This porridge is Gluten Free, Grain Free, and Paleo. Whoot! This recipe uses only five ingredients and take less than five minutes to make. Enjoy it cold in the morning or heat it up and eat it warm. You can top it off with any of your favorite gluten free ingredients, making it exactly the way you like it. Anything you would put on oatmeal you can put on this tasty, healthy, Paleo Porridge. It’s best to enjoy this Overnight Paleo Porridge within 24 hours. If you are like me, and you like to do meal prep for the week all on the same day, you could put the dry ingredients into a jar and add the dairy-free milk and maple syrup the night before. Looking for more quick breakfast recipes? Try my One Bowl Grain-Free Hot Cereal. Can’t have oats? No problem! 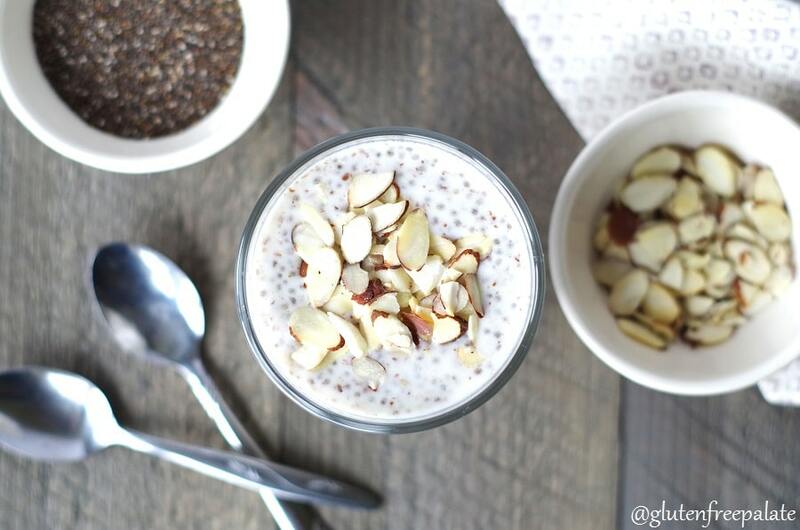 Overnight Paleo Porridge is just as easy to make, and just as tasty. Mix the dry ingredients in a bowl or 12 oz glass jar. Add in the coconut milk and maple syrup and stir until the milk absorbs the dry ingredients. Let it sit for a couple of minutes. Stir it again, cover it, and refrigerate overnight. When you're ready to enjoy your porridge (cold or heated), top it with your favorite toppings and enjoy! This porridge is best if enjoyed withing 24 hours of making. So easy! Thanks for sharing, Chrystal! Thank you for sharing this, Chrystal. I have food allergies that prevent me from eating certain foods (sugar allergy) but this will fit in nicely to my gluten free diet. Thank you for comenting 🙂 I hope you enjoy it. I have other recipes on the recipes page that are also sugar-free. Wow Chrystal, I never would have thought to put these ingredients together like you did. I now know just what to do with the coconut flour in my pantry. Thanks for sharing this great recipe! The coconut and flax give more of a porridge texture vs. just the chia seed 🙂 If you like it thicker, add another tablespoon of coconut flour. Enjoy! Awesome recipe! Do you know the nutrition information of it?? I don’t because it varies on the exact ingredient that is added. I just made this paleo porridge! However the liquid has been absorbed quite quickly and it looks quite dry. Is that meant to happen? Do i add more liquid in the morning? The liquid should not be absorbed that fast. If that happens, just add more liquid and stir. You can do it right away, or in the morning before you enjoy it. Sometimes liquid is absorbed faster because the almond flour or coconut flour are extra dry, and it absorbs it quicker. Hope that helps! My mixture was very dry right away and come morning it was very thick & dry. My chia seeds were not even noticable. 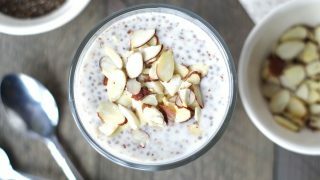 Does it matter what chia seeds you use? I found my porridge not very palatable unfortunately. Sorry to hear your porridge did not turn out. I make this recipe often and it it far from dry. Is there a chance you might have mis-measured something?